Bobby J. 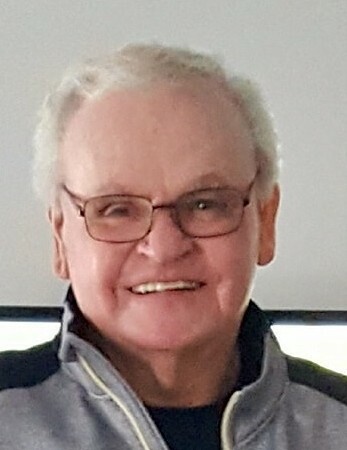 “Bob” Clemons, 76, Rochester, and formerly of the Deedsville, Indiana area, passed away at 11:20 a.m. on Friday, April 5, 2019, at his residence. Born January 9, 1943, in Miami County, Indiana, he was the son of Coy Lee and Allie J. Hale Clemons. On November 25, 1962, at the Deedsville E.U.B., he was married to his high school sweetheart, Penny Mae Brower, and she survives. Bob graduated from Deedsville High School in 1961. He worked at Sonoco Paper Products in Akron, Indiana, for forty-three years, until he retired in January of 2005. Survivors include his wife, Penny M. Clemons, Rochester; three children, Darrell W. (Ruby) Clemons, Keller, Texas; Donald J. Clemons (Tom Beatty) South Bend, Indiana; and Linnea C. (Bobby) Holland, Peru, Indiana; four grandchildren, Justin (Meagan) Kristen, Joshua, and Alexis Clemons, all of Texas. In addition to his parents, he was preceded in death by a brother Carl Dea Clemons; sister, Reba Faye Garrison; a brother-in-law, Charles Gary Garrison; and a nephew, Michael Ray Clemons. Funeral services will be held at 10:00 a.m. on Thursday, April 11, 2019, at McClain Funeral Home, Denver, with Rev. William Babb III officiating. Burial will follow in Ever-Rest Memorial Park, Cass County. Visitation will be from 3-7:00 p.m. on Wednesday, April 10, 2019, at the funeral home. Memorial contributions may be made to the Deedsville United Methodist Church. McClain Funeral Home, Denver, Indiana, has been entrusted with arrangements. The online guestbook can be signed at www.mcclainfh.com.